While the limits for regular experienced drivers are the same as much of western Europe, limits for new and professional drivers are particularly strict. Since 1 January 2014, new and professional drivers are required to be alcohol free before driving. In practice this means less than 0.1 grams of alcohol per kilogram of blood and translates to 0.05 millilitres of alcohol per litre of exhaled air, a measure that can now be used by the police and courts in most instances, after a change to the law on 1 October 2016. This limit essentially means new and professional drivers must abstain from alcohol before driving. Regular experienced drivers must stay under 0.5 grams of alcohol per kilogram of blood, which translates to 0.25 millilitres of alcohol per litre of exhaled air. 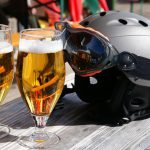 This is around one pint of beer or two glasses of wine for most people, but less for some – breath limits are half the blood limits but equate to the same level of intoxication. People from the UK should be aware that Swiss limits are nearly 38% lower than those in the UK – in the UK (excluding Scotland) the blood alcohol limit is 0.8 grams for all categories of drivers. Some countries in Europe are even stricter. In Hungary, Czech Republic, Slovakia and Romania the limit is zero. In Estonia, Poland and Sweden it is 0.2 grams of alcohol per kilogram of blood. And, once you’ve overdone it, there is no quick way back. 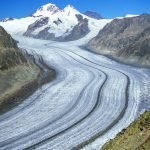 According to Touring Club Suisse (TCS), your body only removes around 0.15 grams of alcohol from your blood every hour. Smoking, cold showers and coffee do nothing. If you get caught the penalties are high. Those caught with 0.25 to 0.39 millilitres of alcohol per litre of exhaled air (equivalent to 0.5 to 0.79 grams of alcohol per kilogram of blood), can be cautioned and heavily fined for their first offense. In addition, repeat offenders (within 2 years) or drivers breaking other rules or causing an accident with these levels will lose their license for at least one month. Anyone caught with 0.4 or more millilitres of alcohol per litre of breath (equivalent to 0.8 grams of alcohol per kilogram of blood), will lose their license on the spot for at least three months. They will also be fined and face up to three years in prison. Fines in some cases will be based on income and wealth. 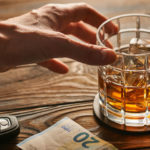 Passengers can face the same penalties as the drunk driver unless the can prove they were unaware of the driver’s drunken state, something TCS describes as relatively rare. In 2016, 43 people were killed in Switzerland by drivers under the influence of alcohol, drugs or medicine.